And here we are with the Last Dimension of walking through a Character/Personality, which is the REDEFINITION Dimension, as the Re-STATEMENT that self is making of ‘who self is’ in one’s relationship to self, the physical and self’s living in this world, from walking self out of a Character/Personality to actual Self Living in/as the Physical. Within the Redefinition Dimension, one want to have a look at what was the Relationship between the Character/Personality and Consequence, meaning: if we have a look at the Postponement Character/Personality and its Consequence - the primary relationship was to Responsibility, that the primary consequence was responsibilities accumulating and compromising/sabotaging opportunities/relationships in one’s world/reality with accepting and allowing self’s relationship to responsibility/obligations to be existent within/as the Personality of Postponement. With the Writing of the Redefinition Dimension, one want to make the Redefinition as practical and applicable to Reality as possible. Meaning, it should not be all ‘airy-fairy beautiful words that sound good’, but a RE-Statement, a RE-Instruction in and as Words that self can actually practically live and apply in one’s world/reality. With Re-Statement / Re-Instruction we mean that: It’s to understand that even though self now KNOW thyself with having walked through the Postponement Character/Personality, the Commitment Statements that one had walked within each Dimension was the re-statements, the re-instructions that self placed within self to LIVE/APPLY in moments when one again face similar/same Dimensions of the Character/Personality. And how to then not accept/allow self to give into the automated programming of the Character/Personality, but utilize the opportunity/moments when facing the Dimensions of a Character/Personality to establish one’s re-statement/re-instruction of WHO I AM in/as that moment; and so practically LIVE the commitments one placed. So, the Commitments one had placed within the walking of Each Dimension was essentially the process of Redefining self’s relationship with self, the ‘Who I am’ in/as my relationship to the Dimensions of the Character/Personality. Meaning, for example where we had walked the REACTION-Dimension, and in the commitment established the re-statement/re-instruction of ‘who I am’ to/towards boredom/apathy as “Stabilizing Self with the Physical through Breath and moving self to get the writing/task/assignment Done”. Here, one for example redefined who I am to/towards the energy-experiences of boredom/apathy within the Postponement Character/Personality, essentially stating “I am no more accepting/allowing apathy/boredom, I am now standing as stability, with breath and doing/acting to get things done”. Even here in the Commitment Statements – one want to focus on making them as practical/applicable to reality as possible to really be able to stand and change self in moments of facing the Dimensions of a Character/Personality. The Redefinition Dimension is like the “Grand Finale” of re-stating / re-instructing the WHO I AM to/towards the entire Personality/Character and its relationship to Reality. Meaning, the initial redefinitions as commitments was more only in alignment to the individual Dimensions of the Character/Personality. The Redefinition Dimension is thus now the Redefinition of Self in self’s relationship to one’s world/reality, where – we identified that the ENTIRE Character/Personality had a relationship to Responsibility/Obligation, and so now in the Redefinition Dimension, one is going to Redefine Self in Self’s relationship to Responsibility/Obligation in one’s world/reality to sever the relationship of the Postponement Character/Personality to/towards Obligation/Responsibility. To no more accept/allow Responsibility/Obligation to Initiate me into and as the Postponement Character/Personality, but to utilize Responsibility/Obligation to establish my Living of Self Will. To deliberately when/as I face a responsibility/obligation WILL myself to move through all resistances/layers/dimensions through applying/living the commitments I have placed within each Dimension and walk through the Character/Personality in/as breath and get the Responsibility/Obligation Done. With WILL I redefine as: the physical, practical movement of me as placing my hands on the keyboard/pen in the fingers/hands on the Book and just start writing/reading/doing while/as I practically apply myself in my relationship to the Dimensions that may/may not manifest/come up as I walk the Responsibility/Obligation in getting it done. In this thus, my Self Will is me standing by my Decision to Prioritize my responsibilities/obligations in getting it done, not giving into / giving up on me with falling into the Dimensions of the Character/Personality, but stick to my practical applications I had prepared in the commitment statements and actually get things done. And so, my Self Will is transcending this Postponement Character/Personality, with my cross-reference that I can face responsibilities/obligations WITHOUT reactions/personalities/characters activating, but it simply becomes a natural living expression of me getting things done – nothing more, nothing less. So, here – it’s to see, realise and understand that in the Redefinition Dimension, one’s Redefining of self will be in the context of the Personality/Character one is facing, and how self is going to practically in one’s living change self from a Character/Personality to SELF LIVING/Doing. When/as one had walked/is even in the process of practically walking a Character/Personality, one may find that one will add/change/expand on the Redefinition Dimension in making it more specific/tangible/practical. Until eventually, when/as one has changed, for example in no more Postponing but had stood with self’s Decision and Living Self Will in one’s relationship to responsibility/obligation, that this One Point of living Self Will, will become prominent in many areas of one’s life, where with facing OTHER / Different Characters/Personalities, it will become more and more easier to Not Give In/Give Up, but stand by self’s Decision and Living Self Will to CHANGE and Stand through the resistances/fears. So, essentially one can say that in each Character/Personality there is a ‘Gift’ a ‘Piece/Part’ of Self that will stand/be expressed as Self into/as all areas of self and self’s living. As with for example the Postponement Character, becoming the Living of/as Self Will - that with strengthening Self’s Will/Living Decision every time self face Postponement and not give in/give up on the resistances/dimensions, but stand through it in/as Self Will and getting things done, eventually self will LIVE self will in/as all areas of one’s life/living in it becoming easier to stand with self’s decisions and actually live them. And, with having a look at Self forGIVEness – self is with walking through a Character/Personality in writing, self forGIVEness and self commitments as the entire process of redefining Self: within each character/personality Gifting to self a part/piece of Self to self and so the process of walking self into and as equal and one LIVING in/as the Physical, and no more being lost to servancy/enslavement/control of the Mind/Energy as CONsciousness. To Understand here as well, that – many expect that Self Forgiveness in itself / the process of Writing in itself is going to change self. Doesn’t work like that. Again, if ONLY writing would save man from itself – we’d be a changed world/humanity already. Would have been awesome though, just having everyone write and do self forgiveness and VOILA! we’re all changed, co-existing in equality and oneness on Earth and everyone is taken care of and cared for…Unfortunately the moment of change stand within the Action, the Doing, the actual practical APPLYING. The process of writing, self-forgiveness and self-commitments is where one get to “Know Thyself” and the NEXT STEP which humanity for generations have missed, is to actually then physically, practically Change. Meaning, one can sit and write and do self-forgiveness for the rest of your life, but if/as one for example do not get to the point of CHANGING within and as the Commitment Statements that self had placed: Nothing’s going to happen. So, again, to understand: The Writing, the Self-Forgiveness – is to get to know how the Mind and its Personalities work, essentially “how did I become who I am and how has this who I am created/manifested my experience in me, my physical body and my life in this world”, then with getting to know how you became who you are and how this who you are is creating/manifesting your world/reality and your relationship/experience with your physical-body and relationships with others – you walk the Self-Commitments, from what you’ve self-honestly realised with how you became who you are, what you accepted and allowed, the consequences you manifested/created: you can then in the commitments re-establish the Decision of Who I am, prepare the road before you of how to change from the OLD into and as NEW and then the Last and Final Step of actually LIVING/APPLYING the Change in REALITY. 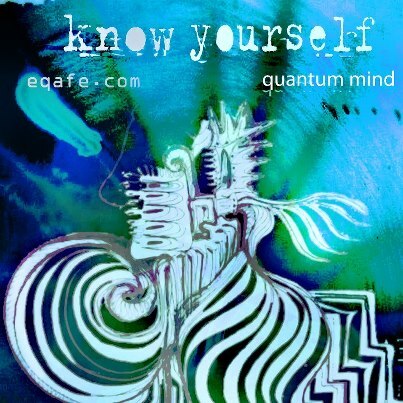 It is essential here, in writing and self-forgiveness to REALLY get to know yourself, to be self-honest, to be direct/frank with yourself, because – one will not be able to effectively change for self, if you don’t know how your Mind works in the first place. And this is the ONE POINT humans for generations have missed: the fact that the ENTIRE MIND is involved with defining who we are, our living, our relationships to our physicals, to others and this existence as a whole, and so we have to walk the ENTIRE MIND and redefine ourselves from the MIND into and as actual, real, equal and one Physical Living. Walking the Entire Mind, is realising that you are, as the Mind, in space and time physical reality, and so you can only walk so much each day, and thus comes in the 7 Year Journey to Life, the Desteni I Process, the Desteni Forums – all the practical support available of how to walk yourself day by day from the Mind into Physical, Equal and One Living. So, we’ve been existing as a MIND, which human beings don’t even know how it in fact operate, function/exist as the Conscious, Subconscious, Unconscious, the Quantum Mind and the Quantum Physical Levels and this Mind’s relationship to self, the physical body and so this physical existence as a whole. It must be understood that we’re not going to change ourselves/this world unless we first get to know who/how we are as the Mind and to from there redefine/change who we are and so our living to/as what’s best for all/equality and oneness here; and no more the consequence our relationship to the Mind as self-interest/survival has created/manifested.